In February, we will be making Strippy Stars Zipper Bag using the Strippy Stars Tool from Creative Grids. You will need to bring your sewing machine and regular sewing supplies. 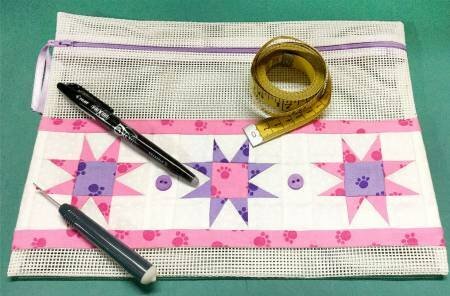 You will need to have or purchase the required ruler ($19.99) and kit ($10.00) with pattern.